Despite our best efforts, the proposed 8.8% rate increase for level 1, 2, and 3 foster families proposed by Senator Weiler did not make it on the short list of priorities to be considered by the Appropriations Committee. There will be no rate increase this year. Thank you so much to those of you who wrote to your legislators in support of the increase. The Legislature has many competing requests and many compelling issues to tackle with limited funding. We are so grateful Senator Weiler was willing to propose the increase and we will keep advocating for an increase in the years to come. Going forward, we are hoping to implement a periodic review and adjustment of rates on a regular basis. We are going to work with the legislature to see if we can get that change into statute and law. 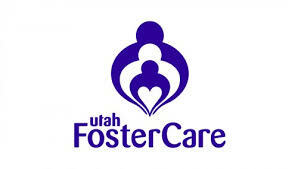 Foster Parents would not have to approach the legislature about funding if it were something the legislature reviewed and did on an pre-scheduled basis. We had some questions about rate breakdowns and how our proposal would have impacted rates so we have included that breakout by level and age below. If you are interested in working with the legislature on this issue, please contact us! And thanks again!